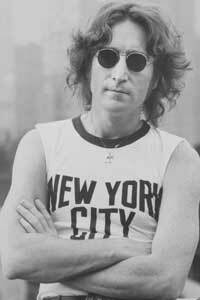 John Lennon wearing a NYC t-shirt is the black & white design on this magnet. Beatles fans and fans of John Lennon will want to add this to their collection. Stick it on the fridge, your locker or wherever else you want. Measures about 2 x 3 inches. Officially licensed John Lennon merchandise.